Finally there is another bike Bajaj Pulsar that is going to hit the market with after its new model Kawasaki Ninja which was launched on long back. The Kawasaki Ninja is powered with 250 cc engine and it can churn out 30PS of max power and also has an impressive peak torque of 21 Nm. It is said that the Ninja is expected to be priced between Rs 1.5 to 2.0 lakhs. The Bajaj Company has already been found selling Bajaj Pulsar in numerous quantities. It is masculine in its appearance with number of variants. It has also got a brand name from the biking segment. They have given a name to this revolutionary performance bike as Bajaj Pulsar which is considered to be the bike that is yet to be completed. Both the parts of the bike and its engine are under the process of completion. 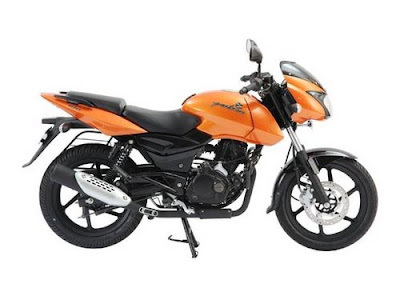 The important key factor that differentiates the Bajaj Pulsar 250 from that of other bikes are only from its performance that can be produced in a lower price compared to other bikes which are produced with a power segment that is placed in it. The Bajaj Pulsar 250 has an engine with a small displacement is said to be a wonderful and powerful engine that has a power of 30 BHP. This is because of its refined high performance liquid cooled two cylinder MPFI parallel petrol engine which has 4 valves for each cylinder. The new Bajaj Pulsar 250 bike has a top speed, which is expected to be around 150 KM per hour. It features itself with an aluminum frame which is not seen in the normal commuting bikes. This feature is found only in super bikes and racing bikes only. Bajaj Pulsar 250 is said to be one of the powerful bike which is sophisticated with a twin price will be expected to be less than 2 lakhs. It is a performance bike that has a Racing DNA and is available with a competitive price which may increase the sales of the vehicle when compared with the other bikes of this sort. 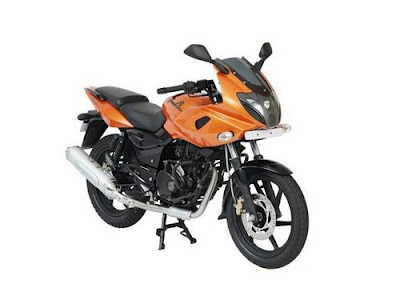 The key features of this Bajaj Pulsar 250 bike are it has got its front and rear disk brakes with a fuel injection based engine and a projector headlamp, digital instrument console, sporty design. It also has the aerodynamic styling and racing style curves. It also got the mono- shock suspension in the rear and front telescopic suspension. It is surely going to be a powerful and dazzling hear-turner for the younger generation people.